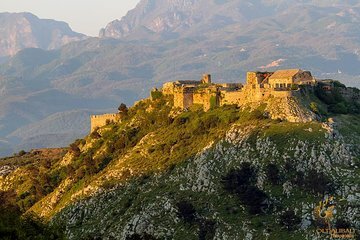 Located a few miles south of Shkodër, Rozafa Castle is a culturally significant ruin site with uninterrupted views over the nearby Lake Skadar. Save yourself the time spent walking to the ruin and catch a ride to the Castle for an early evening tour of the ruins while the sun sets over Albania. Get stunning photos of the Albanian countryside and learn from your guide about the history and legends attached to the site.